noun: A tube inserted into a blocked vessel to keep it open. After the dentist Charles R. Stent (1845-1901). Stent did pioneering work in coming up with a compound that made better molds for dentures. Later, the compound was used to make casts of other body parts and cavities. Stents correct stenosis (narrowing). Earliest documented use: 1878. The word stentorian is also an eponym, but it came from someone else. Gary B. Boyd; One Particular Patriot III; AuthorHouse; 2013. 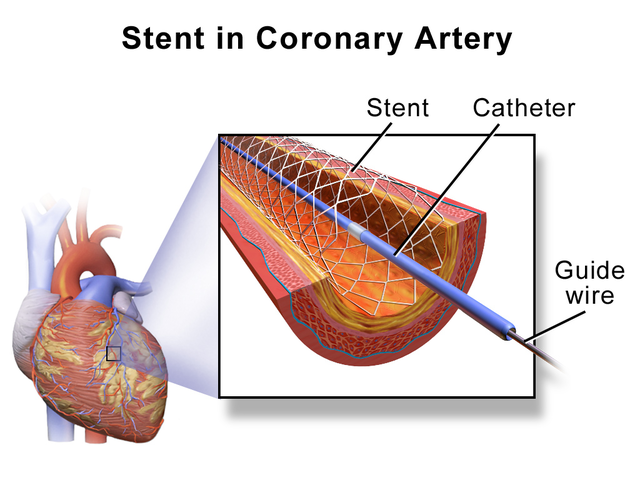 See more usage examples of stent in Vocabulary.com’s dictionary.